In order to extend the lifetime of a “nearly depleted” gas well, Eltacon has delivered a Mobile WellHead Compressor. The MWHC will boost the gas coming from the well to a suitable pressure for transportation. Using an oil injected screw compressor with a “wide range” capacity control, the package is suitable for lowering the well pressure down to 0,1 barg and therefore extending the total lifetime of the well. After depletion, the unit will be moved to other locations due to its high flexibility in operating parameters. 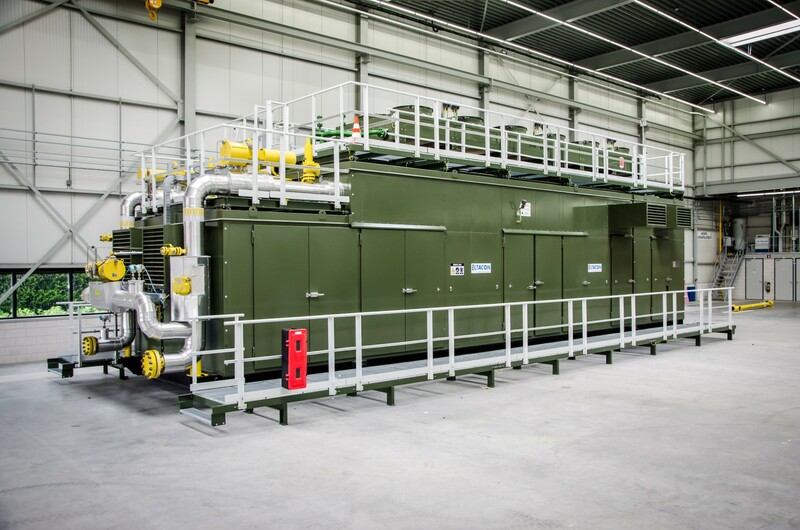 After producing the first MWHC for gas wells in Siberia in 2010, the MWHC has proven its value and capability over the last years and is now used on several sites in The Netherlands as well. Improvements from the pilot unit include an integrated Liquid and Sand Separator, enabling the MWHC to run without upstream filtration systems. For more information on the MWHC units please contact sales@eltacon.com.